We as people struggle in our everyday lives, whether its school, work, relationships, or even who gets the best parking spot at Wal-Mart. It’s not even just people. 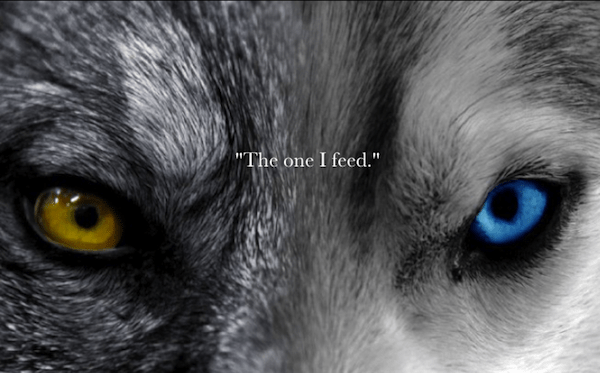 It could be the struggle between good and evil, or animals competing to survive. Competition and struggle surrounds us all the time. Did you know that trees will compete against each other for sunlight? They compete to survive, much like us. You see, the world is a round ball swirling with competition and we are only the competitors living in it. Passion is part of this competition. Passion drives us human beings into the most insane mind blowing tasks. Passion drives us into rebellion and change. We are compelled to act upon what we believe in. I mean come on, Martin Luther King marched and spoke for the unfairness of segregation. He had a passion for equality and justice. And look where we stand today? In a nation who’s government treats everyone equally. Passion is what pushes us to succeed and excel above all other expectations. If you have passion then the possibilities for what you accomplish are endless. Besides passion another common factor in struggle is the forces of the good, and the evil. I’m not going to go into detail on this one because there are several reasons why one might pick either side, but I do have a short story about the matter. I hope you enjoyed this elaboration and think over the story I just told. I remember when I first heard this story and it sure does have a lot of depth to it. I hope you have a wonderful weekend! And I hope to hear from you all soon. Today I was watching a show about bullying and I realized just how hurtful words can be. It wasn’t just the show, but also about how I made someone I care for immensely suffer from my sharp words. Why do we hurt the ones we care for most? I thought and mulled over answers. About both our foolish words and malice. I couldn’t come up with an answer. It would just seem silly to say that it’s “just human nature”. Today I learned that a little boy named Ty Smalley committed suicide at the age of eleven because of the torture he went through everyday just by going to school. The children would call him stupid or push him into the wall. How many words does it take to break a child’s heart. When will the suffering stop. It seems like nothing is never enough. You see as children we are taught that picking on others is bad and that we should always use kind words. Now count up all the lectures, videos, and slideshows we were presented over this topic. Now count all the children’s heads that have committed suicide over the same words we were taught not to use against others out of pure malice. And did you know that suicide is one of the leading causes of death in teens. Words are like poison. They leak into the mind and cut hearts. In our world today none of that seems to matter. We call people names and put their very being down with ease. We as people speak without thought, and this often causes hurt hearts. You know we don’t say to ourselves “Maybe I shouldn’t say that. My words could really hurt them” or “I should probably be nice to this person”. Human beings have become more selfish and we tend to only care about how WE feel. But if we tried harder I bet our world would be filled with a little less grief. So next time you see someone with their head hung low try to make them smile. Or next time you just really feel like snapping at someone, take a step back and think about if its really worth making someone else upset. Go out of your way to help someone other than yourself. Even when you don’t feel like it! Because when you do it’ll start a chain reaction and the person you helped will be kind to someone else and so forth. So be the change you want to see in the world. Don’t be afraid to stand alone because people will follow.